It has become pretty evident that something that’s been desperately missing in music over the past few years has been the timeless element. Typically a song you hear on the radio these days won’t have the lasting power and will quickly become irrelevant in the years to come. For that reason, when you have a real artist like Eric Benet who strives to make timeless music and consistently succeeds at it, you have to respect them. 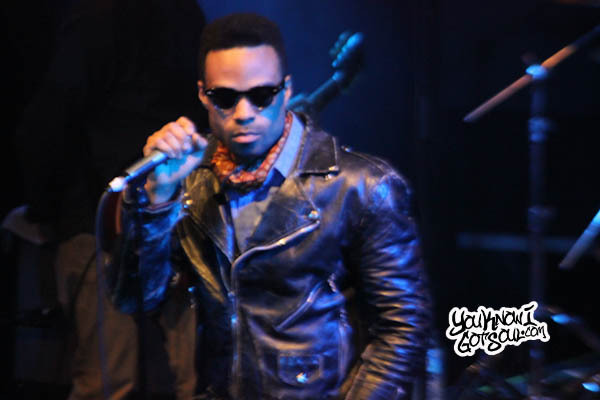 Here at YouKnowIGotSoul we did just that in picking Eric’s “Lost in Time” album as the top r&b album in 2010. In this interview, I discuss with him why he decides to pay homage to the sounds of the 70’s, if he agreed that this was his strongest album to date, how he manages to find the perfect duet partner, if he was disappointed by the album’s showing on the Billboard charts, the collaboration with his daughter, making timeless music, and much more. YKIGS: Let’s talk about your new album “Lost in Time.” I’ve read that the album pays homage to the sweet soul of the 70’s which helped shape you as an artist. What made you decide to go in that direction with the album? 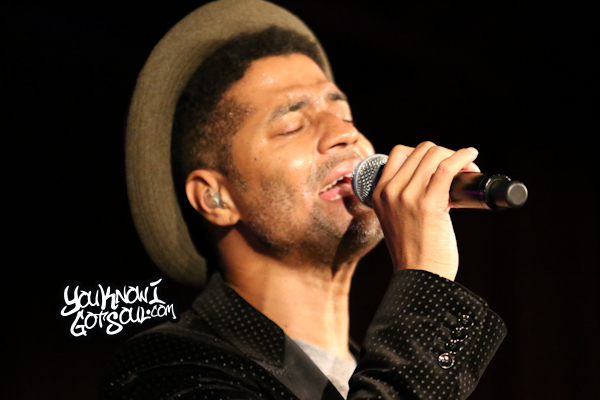 Eric Benet: Well you know there’s just not enough of it around today especially in r&b. There’s not enough, in my opinion, real instrumentation, real musicianship. I think specifically in the genre of r&b it’s more processed vocals, what music is there is sequenced and quantized. I think the soul in soul music comes when people actually play, when people actually sing, the beautiful imperfections in their voice. 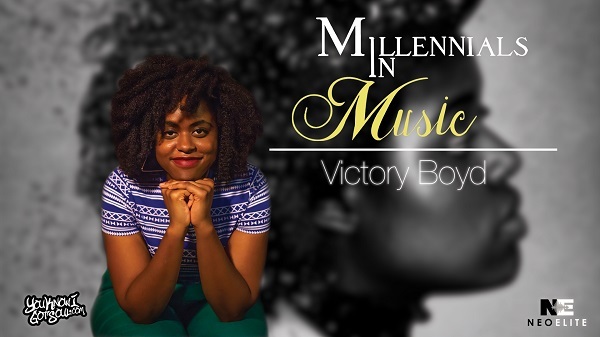 So I just really wanted to make this record that stayed true to the spirit of r&b with string arrangements, instrumentation, and horn arrangements. So that’s where that came from. YKIGS: Do you feel that your fans were a little surprised to hear you come out with this type of style and overall how’s the reception been? Eric Benet: Well the reception has been incredible and I don’t think the fans were surprised at all. I think from my first album you could hear the influence of 70’s soul and r&b. I think with this record it was just kind of a natural progression that I would do something that is more pure to genre. El DeBarge. We loved it. Eric Benet: Oh that’s dope! Thank you, I appreciate that! I didn’t know that, thank you! YKIGS: Yea definitely. We actually felt it was your strongest album to date, would you agree with that? Eric Benet: Thank you for that. I think so, I think there’s been quite an evolution. I think with any artist if you keep working at your craft you’re just going to get better and better with it over time. I’ve been in the game for a minute so I really feel like me endeavoring to do something that is an homage to 70’s soul, I feel like first of all I have to have enough experience and enough years under my belt to really do it justice. So I do definitely feel like this is my best record. YKIGS: The album has received a very good critical response from music critics but it only peaked at number 33 on Billboard. Was that disappointing for you? Eric Benet: I mean not really. Yea of course I would have loved to see it debut at number one, but it’s almost like it’s not going to be, especially r&b music, it’s not because my first week it wasn’t in the top 5, it doesn’t mean the record is over with, that’s not usually the case with r&b music or my genre of music. It’s something where I’ll be working it for the next year, whereas a lot of the records you see where they debut at number one in hip hop and pop, it’s like they move on so quick, like right after. So I think it’s going to have a nice little life span. 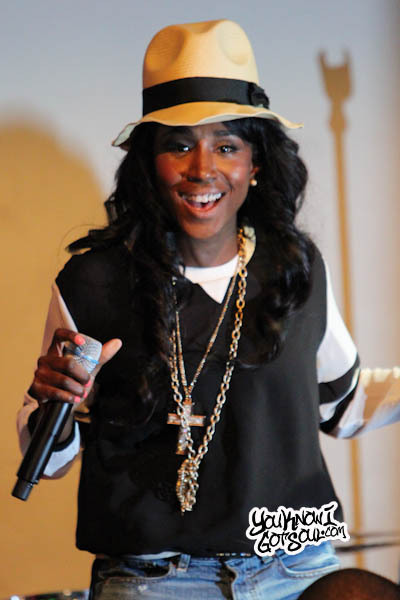 YKIGS: The first single “Sometimes I Cry” ended up being a number 1 hit on the Urban A/C charts. Did you know you had a major hit when you first created the song? Eric Benet: Nobody can really predict a number one, but I knew that song was going to hit a chord with people emotionally. And it definitely did. Eric Benet: I’m really not the best at picking singles so it’s usually kind of a collaborative thing between the label and myself. So I don’t know, it just seemed like the natural song to go to next considering the whole theme of the record, this classic r&b sound and “Never Want to Live Without You” had that timeless string arrangement and the way my vocals are arranged. It says everything that I told people what this album was about and so it seemed like a matter of course. YKIGS: Yea I could imagine how hard it could be to pick the single because this album is so strong from beginning to end that you could have almost went with anything there, I just love it. Eric Benet: Thank you sir, I appreciate that. YKIGS: One of my favorites from the album was the collaboration you had with your daughter on “Summer Love.” What was it like being able to work with her on that song? Eric Benet: Thank you man I appreciate that and that’s actually one of my favorites too. It’s great working with India because she’s very quick in the studio and I’ve worked with a lot of vocalists who have been doing it professionally for 10 or 20 years and it may take them a minute to grasp onto a vocal part. But India just does me proud; she just goes in there and knocks it out. She’s very talented, she’s a talented writer also so we’re going to be working on some of her music in the next few months. YKIGS: Yea I thought it was real cool that you were able to do that type of collaboration with your daughter. Eric Benet: Yea any opportunity to hang out with my daughter is a great thing. 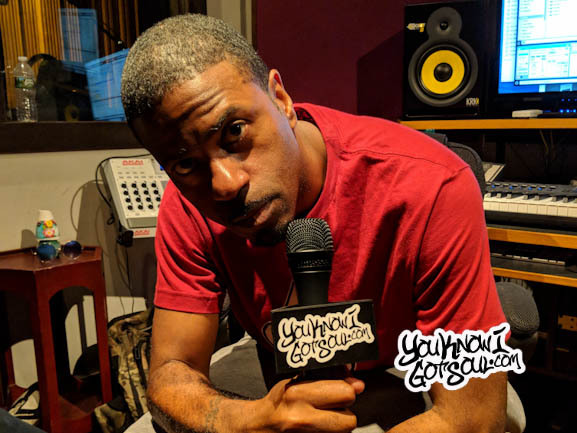 YKIGS: You originally did a collaboration with Faith Evans on “Georgy Porgy” in the late 90’s and then you came back together to do another song on this album. What’s it like working with her in the studio? always been a big Faith fan and I think she’s just an incredible vocalist. So when I was in the studio doing “Georgy Porgy,” it was a little bit of me being star struck going in but it turned out to be just that she was such a sweet, humble person. The song was very successful for both of us and I think over the years I’ve just been waiting for the right song for she and I to get down on again. When my cousin and I first wrote this song “Feel Good” I immediately thought that Faith would sound dope on that. YKIGS: I’ve noticed in the past you haven’t done too, too many collaborations, you’ve had some duets, but when you do a duet, it seems like you manage to find the perfect partner to duet with. What’s the selection process for when you’re looking to find another singer to work with? Eric Benet: It’s a lot like songwriting. When you’re writing a song, the melody is kind of, even before you write the words, the melody is telling you from an emotional place what the words should be in this line, or at least that’s how I do it. I can hear in the melody whether it’s somber, whether it’s exciting, whether it’s a little angry, so you just find the words to fit that. When finding somebody, a vocalist that fits a song, it’s kinda like the same thing. I’m going to look for a voice where I can just hear a vulnerability to it. Sometimes you need a voice that just sounds like you can just hear that person smiling while they’re singing because of the lyric. It’s very important to pick the right voice to stick with the song or else it just really won’t come off right. 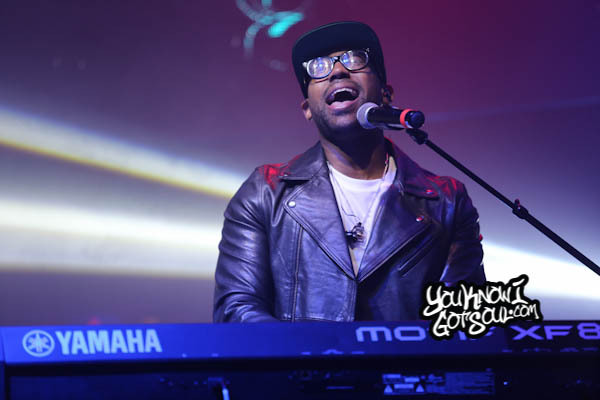 YKIGS: I keep saying this but another favorite of mine is the collaboration with Chrisette Michele. How did that collaboration come about? 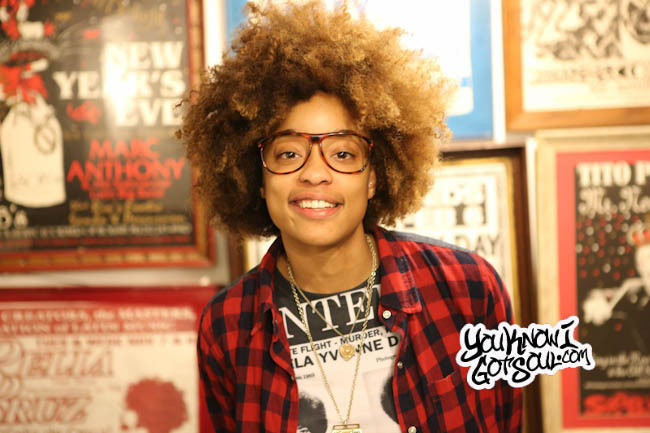 Eric Benet: Since Chrisette Michele got on the scene I’ve just been a fan of her in general. It was one of those things where she came to see one of my shows when she first came out, she was kinda like a fan of mine and I really respected what she did, and it was another one of those I’m going to think of something for us to do together. When we came up with the song “Take It,” she’s got this special certain little unique sassiness in her voice and that lyrically and melodically fit that song perfectly. 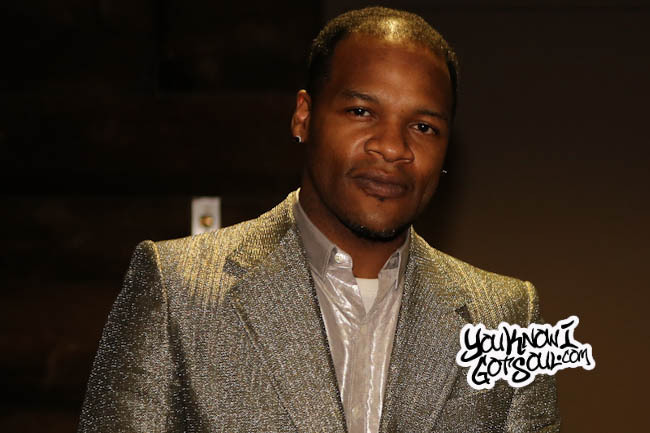 YKIGS: Talk to me about the recent tour you’ve been on with Fantasia and Kandi. How has that experience been? Eric Benet: Oh that was dope. It was a drama free tour. *Laughs* Kandi and Fantasia were just sweethearts and just wonderful to share the stage with. Personality wise and musically it was just as enjoyable. I would love an opportunity to work with them again! YKIGS: I was reading in your bio that in the late 80’s you were part of the group “Gerard,” a family group, and after the group disbanded, you took a job with UPS. At that point in your life, did you realistically ever believe you’d be where you are at today? Eric Benet: Well it’s interesting, when you have dreams I think if you never let them go they can actually fuel you. Yea, to answer the question, I never let the dream go. So while I was there working at UPS doing something that I didn’t want to do, I would let that dream motivate me. For everybody out there that may not be doing what they want to be doing in life but they’ve got some other aspirations, I just say never let it go. Let those aspirations put that fire under them. YKIGS: Back in the 90’s you did the song with Tamia “Spend My Life With You” and people consider that timeless music, timeless r&b, and in general they consider your music to be timeless. How does it feel to have your music be considered timeless and to know that it will live on? 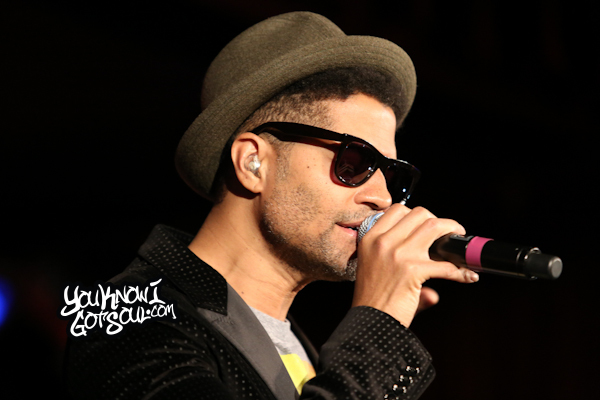 Eric Benet: From an artist’s perspective I think that’s the biggest compliment. Whether you’re a painter, or an author, or a songwriter, I think ultimately you want your craft to transcend not just this time, but the time, years, decades and centuries after this. So that’s like the hugest compliment. So whenever somebody says that about my music I feel…the best word to describe it is I feel successful. YKIGS: That’s all I had for you, is there anything else you’d like to add? Eric Benet: I just want say it was cool talking to you and tell your folks to follow me on Twitter @Ebenet. Also go to my website EricBenet.net and they can keep up with my tour schedule. And that’s what’s up. I support this man with all my paws. It’s almost surreal these days hearing such a sober view at music & artist who actually do play it live. Furthermore, Mr. Benet sounds like an intelligent person, been a pleasure reading it. Great interview! Thanks so much for doing it. May God Bless You Mr. Eric Benet’ and Family. I love you so very much GOD is Blessing you GREATLY! HOPE TO GET TO ONE OF YOUR FABULOUS CONCERTS SOON! I SEE YOU HAVE A LOT OF WONDERFUL ADVENTURES UPCOMING AND EVEN MORE BEAUTIFUL PEOPLE SHARING LOTS OF LOVE. IT IS TRUELY A BLESSING. WELL, I THINK I MAY JUST WRITE A EMAIL LETTER TODAY, THEY ONLY WAY YOU CAN RECEIVE MY EMAIL LETTER IS TO EMAIL ME, HOW BOUT IT.